Bright red color, white oval, and distinctive PW design make this car stand out. It has been said there has been more than enough New York Central, Pennsylvania, Union Pacific, Santa Fe equipment made for toy trains and I tend to agree with that to a point. I still have fond memories of boxcars with the Union Pacific’s “Automated Rail Way” signage as well as the Santa Fe’s with the system map on the side. And who didn’t know the Illinois Central was the main line of mid-America? While my rolling stock is very heavy on New York Central and a bit of New Haven, I like to look out for obscure roads to add to the fleet. Here are some of my favorite lines. Not so much odd-balls, but cool designs, curious names, or interesting logos or color combos. The P&W was one of my first Lionel MPC purchases. The Providence & Worcester was a sign, like the newly independent Pittsburgh & Lake Erie, that some flashes of color (and financial success) could arise from the Penn Central debacle. The Providence & Worcester existed from 1847-1892. It was leased for 99 years by the New Haven. It regained independent operation in 1973, and helped to become one of the new-style short lines with good customer service helping business expand, and ensuring a profit. Sadly, it was added to the shortline portfolio of the Genesee & Wyoming Railroad in 2016, its colorful livery replaced by the G&W’s standardized corporate colors. There is a song sung by Bob Hope and Bing Crosby – “Going to Apalachicola F-L-A” and that might just be a reason I like this railroad. This Apalachicola Northern boxcar was offered by Atlas O’s Trainman line and it does well representing the history of the line. The 96 mile long railroad operated between Port St. Joe and Chattahoochee Florida from 1903-2002. The St Joe Co. divested rail operations in 2002, but the line still runs as the AN Railway via the Rail Management Corp. The St. Joe Co. still owns the physical plant. Seattle & North Coast came and went before most people noticed. From 1979-1984 operated ex-Milwaukee Road lines of the Milwaukee Road on the Olympic Peninsula in Washington state. I recall old photos of S&NC crews fighting a losing battle against trees and under-maintained track. Alas, years of deferred maintenance and shifting markets sparked the demise of the railroad. All lines have been abandoned. This particular car is an MTH Premier line product. I have no clear memory of seeing a Pere Marquette freight car, but it is possible there were a few rattling around in the 60s or early 70s. My only knowledge of this comes from reading about corporate doings as it was once having been a Van Swearingen line. The Pere Marquette had a pretty good run as a carrier between Buffalo and Chicago. It also operated car ferry service from Michigan to several ports in Wisconsin. The line was independent between 1900-1947, and was merged with the Chesapeake & Ohio. Many remaining lines operated by today’s CSX Transportation. This car is made by Lionel, and I think looks good and is large enough for the uncommon road name to be seen!. Minneapolis Northfield & Southern, 1918-1985, was an 87-mine shortline operated in Minnesota. Lines ran south and west from Minneapolis. In 1982 it was bought by the Soo Line, absorbing it in 1986. I like the logo and images of those old center cab transfer engines they ran! This car is a Crown Model version custom run for Anderson Travel Service. So do you have a favorite obscure road name or two that you snuck into your car fleet? The Port St. Joe Route's bright colors and large logo make this car stand out in a fleet of green or brown boxcars. 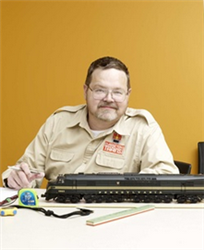 A true curiosity, the Seattle & North Coast's only lasting legacy may be one cool design for model railroader's to enjoy. Named for the explorer and missionary, the Pere Marquette was a major component of the Chesapeake & Ohio. It faded away in 1947. This car salutes the legion of smaller carriers that served the grain elevators and implement dealers of the great midwestern states.